Since I live in Florida and Bella has roots to Florida by way of Renee I thought I would do a Palm Tree! 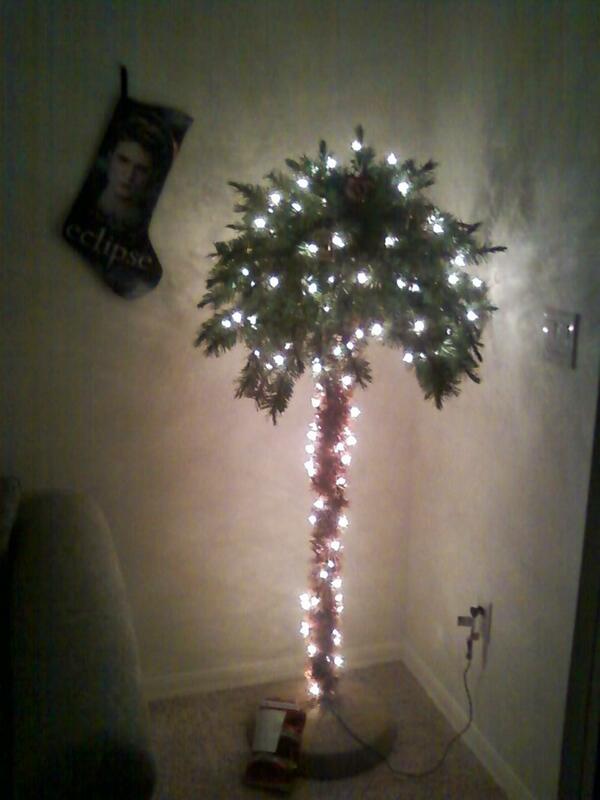 Also since Palm Trees are tropical I am going to call it my Isle Esme Twilight Christmas Palm Tree! I've already put two ornaments that I got while on my trip to Forks. One says, "La Push" and has the cliffs, dream catcher and Jacob's bike on it. The other has the "Welcome to Forks" sign, Bella's truck and tree on it. The third ornament I hung was the Breaking Dawn Ornament I got at Target. Be sure to check back to see how it turns out! 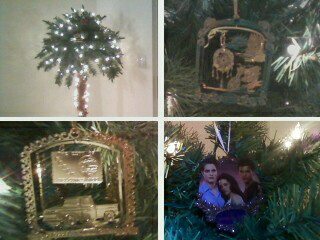 :) I still have to hang my two Twilight Hallmark Ornaments! If you'd like to see my completed Christmas Twi-Palm Tree you can check it out here.